Childproofing your home is essential to keeping your baby safe. Be prepared to childproof the nursery, bathroom, kitchen, fireplace – any area of your house that poses a threat to your baby.Learn the basics of babyproofing, get childproofing tips, and more. On average, babies start to crawl at 8 months, which means many get moving even earlier. A crawling baby will soon start pulling up, too, which means counters and other surfaces are no longer out of reach. Use this checklist to help you prepare for a kid who can go from here to there in the blink of an eye. Then crawl around on your hands and knees to see if you’ve missed anything. For more about child safety, see the complete guide to all our safety articles, FAQs, and other features, including our Before Your Baby Arrives safety checklist. Fill tub just enough to cover your baby’s legs (2 to 3 inches of water). Use warm, not hot, water (do wrist test or use thermometer to make sure water is 96 to 100 degrees Fahrenheit). Never, ever leave babies in tub unsupervised, not even for a few seconds. Put nonslip mats in bathtub and on the floor next to the tub. Soft cover for bathtub spout. Don’t carry hot food or drink and your baby at the same time. Keep hot food and drink away from edges of tables and counters. Don’t hold your baby while cooking at stove. Turn pot handles toward back of stove. Secure oven door with an appliance latch. Plastic stove guard that blocks access to burners; knob covers. Keep children in rear-facing convertible car seats until they reach the maximum height and weight limits. Most seats can accommodate children rear-facing up to 40 pounds or more, allowing them to stay rear-facing until around age 4. Install car seats properly, preferably in the middle of the backseat. Use the safety strap and don’t leave your baby unattended. Keep toiletries out of your baby’s reach but within yours. Don’t use baby clothes with drawstrings. Don’t use soft, fluffy bedding such as pillows, comforters, or sheepskins under sleeping or napping babies. When baby gets up on hands and knees, remove mobiles and hanging toys. When baby pulls up, put mattress in lowest position. Don’t leave toys in crib when your baby is sleeping. 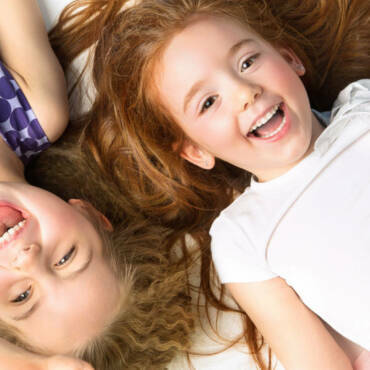 Learn more about childproofing your nursery. Use doorstops and door holders to protect babies’ fingers. Put safety plugs or outlet covers over unused outlets or block with furniture. Hide electrical cords behind furniture or use a hide-a-cord device. Never leave your baby alone on beds or sofas, in bouncy chairs or highchairs, on changing tables or kitchen islands, or in any other spot she could fall from. Use window guards, window stops, and safety netting on windows, decks, and landings. Cut looped window-blind cords; use safety tassels and cord stops. Install safety gates at the bottom and top of your stairs. Block openings wider than 4 inches on railings with plastic garden fencing, Plexiglas, or other material. At the store, use the safety belt on your shopping cart (or bring one of your own). Install a fireplace grill and keep it in place when a fire is burning. Move gas fireplace keys out of reach. Check batteries in smoke detectors monthly. Check batteries in your carbon monoxide detector at least twice a year. Review your fire escape route. Take an infant CPR class. Keep knives, breakables, heavy pots, and other dangerous items locked up or out of reach. Put locks or latches on accessible cabinets and drawers that contain unsafe items. Keep trash cans in inaccessible cupboards or use cans with child-resistant covers. Cover or block access to radiators and floor heaters. Put CD and DVD player buttons and slots off-limits with a plastic DVD guard. Don’t use tablecloths or place mats — babies can pull them and anything on them down. Distract babies from forbidden places by keeping one cupboard unlocked and filled with lightweight, baby-safe items. Attach corner and edge guards. Anchor a flat-screen TV with safety straps or mount it on a wall so it can’t fall on your baby. Keep heavy items that can topple on low, sturdy furniture, pushed back as far as possible. Use a sturdy, stable, wide-based highchair with a safety strap. Clamp a hook-on chair securely to a table that cannot tip over. Don’t leave your baby unattended. Learn more about childproofing your kitchen for babies. Move cleaning agents, medicines, hand sanitizer, vitamins, toiletries, mothballs, dishwasher pods, laundry pods, and other potentially toxic items out of reach or lock them up. Your purse or a visitor’s purse can hold medicines, toiletries, and other dangers – move them out of reach. Get rid of toxic houseplants such as philodendron or move them out of reach. Post the number for the American Association of Poison Control Centers’ national emergency hotline, (800) 222-1222, near phones. Learn more about poison-proofing your home for babies. Put babies to sleep on their backs, even for naps. Don’t let babies sleep or nap on pillows or fluffy bedding such as comforters or sheepskins. Don’t put babies to sleep on water beds or other soft surfaces. Learn more about SIDS and how to keep your sleeping baby safe. Keep your baby out of the sun as much as possible. When your baby is outside, protect skin with hats, light-colored clothing with long sleeves, and sunscreen. Learn more about keeping your baby safe in the sun. Install a toilet-seat lock to prevent drowning. Learn more about childproofing your bathroom for babies. Have no buttons, eyes, beads, ribbons, or other pieces a baby could pull off and choke on. Are not too heavy (if a toy would harm a baby if it fell on him, it’s too heavy). Have no strings or cords longer than 12 inches. Are appropriate for a baby’s age and physical skills. Can’t be hung (or anything else) around a baby’s neck. Don’t leave babies unattended even for a moment in or near a pool or other water. Erect fencing around pools at least 4 feet high with a self-closing, self-latching gate. Empty wading pools and store upright after each use. Don’t leave even small amounts of water, cleaning solutions, or other liquids in buckets or other containers. Learn more about water safety. Cut off or tie up dangling cords on drapes and blinds. Keep your baby away from open windows. 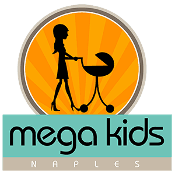 Mega Kids: (239) 434-5437 | Store Hours: Monday - Saturday 10:00A.M. - 5:00P.M.